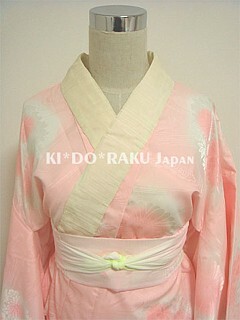 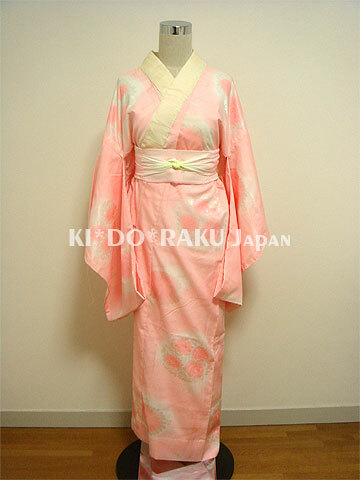 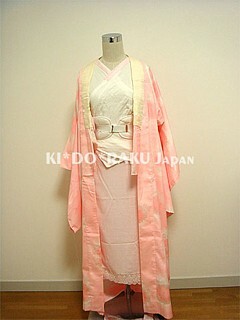 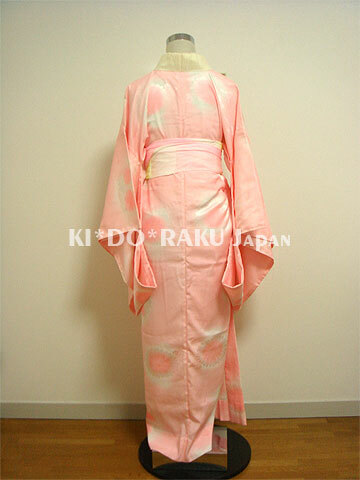 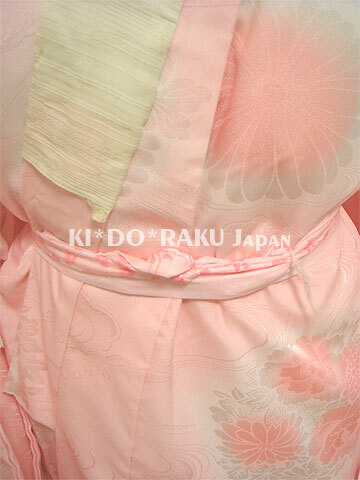 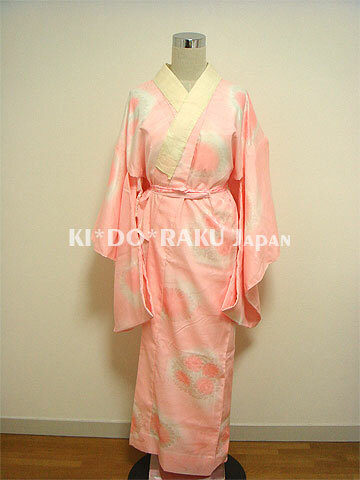 Wear KIMONO : Naga-Juban - KIDORAKU Japan - What a Kimonoful World! 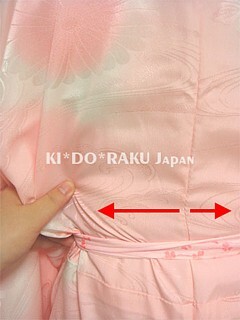 Put on it from below. 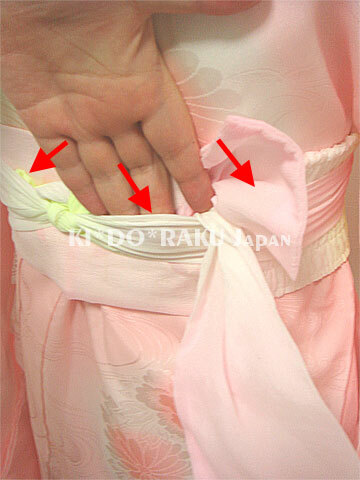 Put Naga-Juban's center line on your center of back. 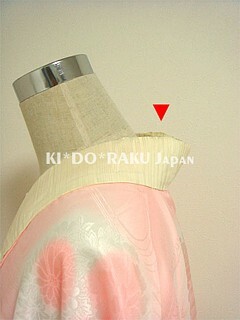 Keep right and left end of neckband to same length. Back space of neck is almost same width as a fist. Put the left end of neckband to right side. Bind your torso with Koshi-himo. 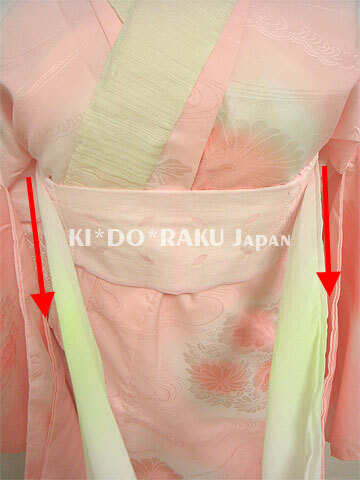 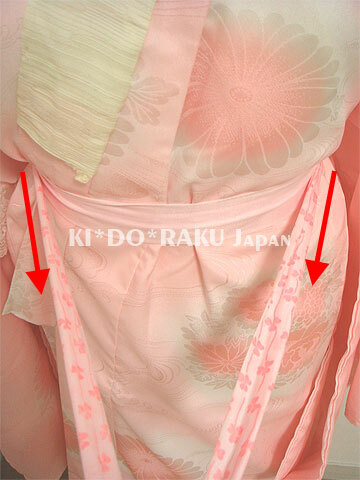 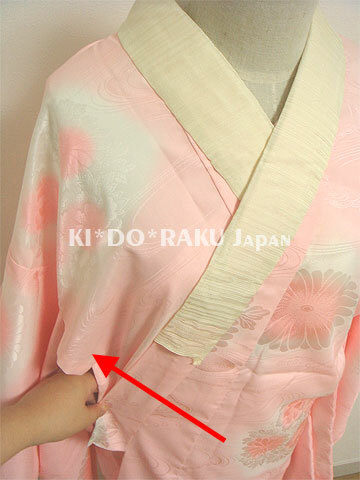 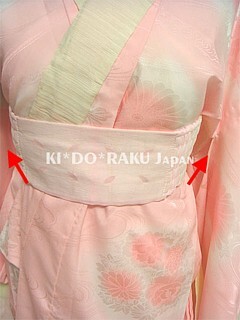 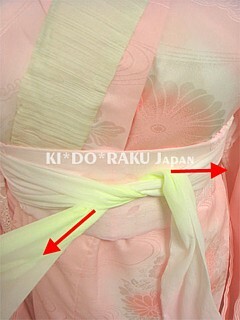 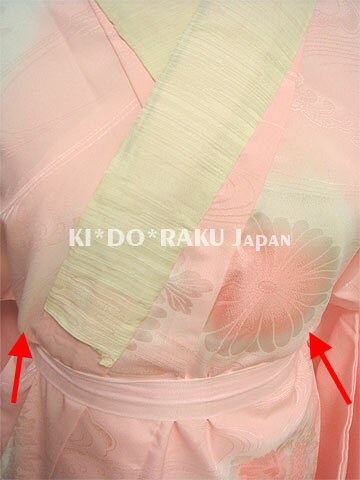 The start is under breast (upside of waist), cross on the back, and tie it at the front. 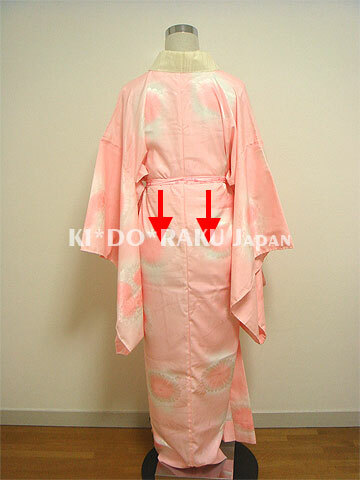 Cross on your back, and tie it at your front. And, put tied cords into back of the cord. 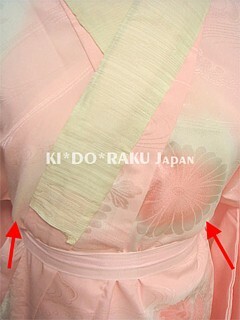 Smooth out wrinkles of back. 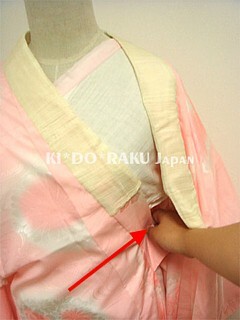 Pull the cloth from center to right and left. 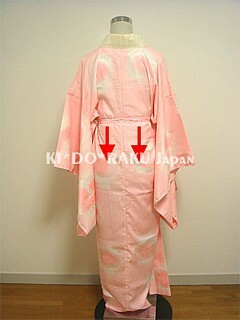 Bind your torso with Date-jime. Start under breast (upside of waist). 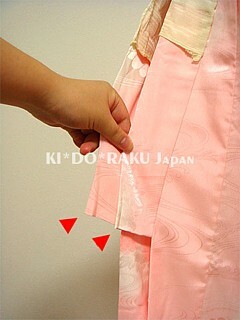 Tie it at your front. Put tied belt into inside of cloth.